Read an overview on the legal situation when it comes to managing a woman with endometriosis at work. This questionnaire is designed to help you prepare for your medical appointment with a specialist. For women who want to find out more about having a endometriosis on the bladder, along with symptoms, how it is diagnosed and treatment options. This leaflet is for women who want to find out more about having a endometriosis on the bowel, along with how it is diagnosed and treatment options. 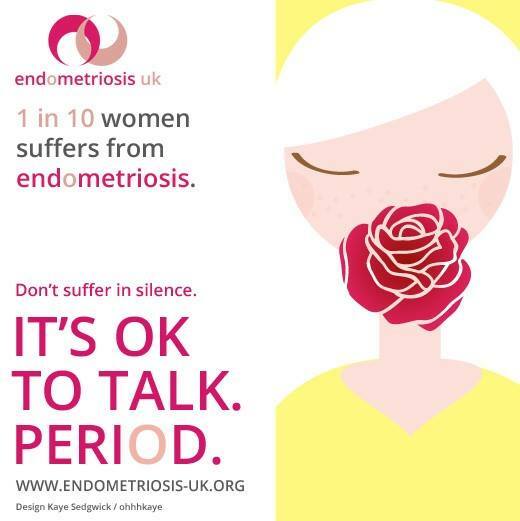 A report of the survey conducted by Endometriosis UK to identify the average number of years it takes women in the UK to be diagnosed with endometriosis. This information pack covers endometriosis and fertility. It provides information for women who have been diagnosed with endometriosis who would like to know if and how this can affect their fertility. For women who are considering different treatment options for their endometriosis. It covers the different types of surgery, hormone therapy and pain management, among others. This leaflet is intended to help women who have been experiencing symptoms of endometriosis prepare for an appointment with their doctor or specialist. offered or are considering laparoscopic surgery for the treatment of endometriosis. This information pack is for women who want to find out more about having a hysterectomy, along with the risks and what to expect after the operation. This chart and diary is designed to help you prepare for your medical appointments. Learn more about endometriosis, symptoms and what to do if you think you may have endometriosis. This information pack also include some information on endometriosis treatment and how the condition is diagnosed. Learn more about endometriosis from the fact sheet published by the Royal College of Nursing. Download our Facebook cover photo and display on your own profile to show your support for the campaign. 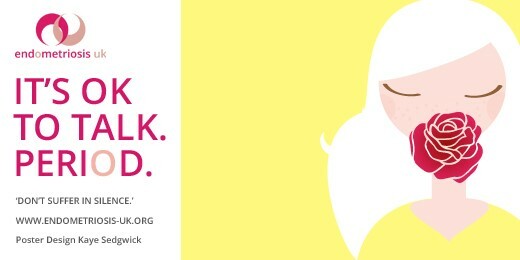 Download poster of our "It's OK to Talk. Period" campaign and share it on Facebook and Twitter. 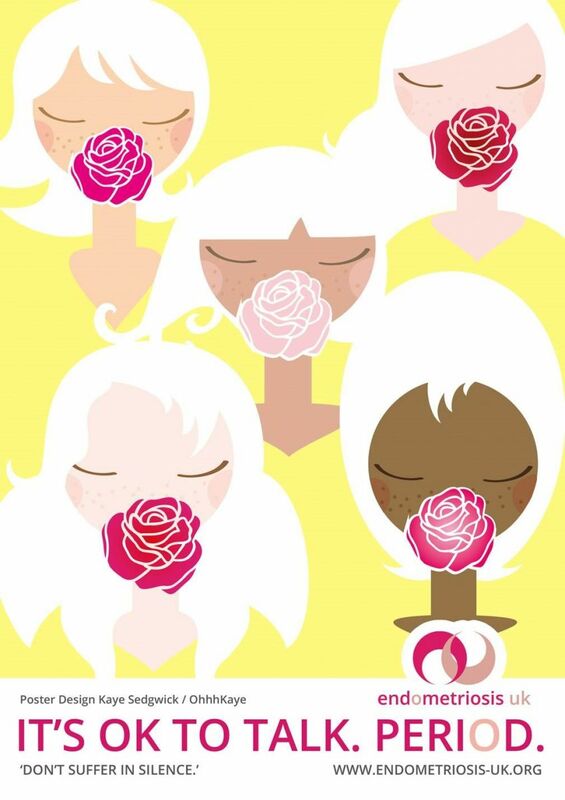 Download our image showing how many women suffer from endometriosis and share it on social media. This leaflet contains everything a teenage girl should know about her periods, including how to cope with cope with painful periods and when you should see a doctor. This version is designed for printing. This leaflet contains everything a teenage girl should know about her periods, including how to cope with cope with painful periods and when you should see a doctor. This version is designed for reading online. Aimed at teenage girls, this leaflet explains endometriosis and what to do if you think you have it. This version is designed for printing. Aimed at teenage girls, this leaflet explains endometriosis and what to do if you think you have it. This version is designed for reading. We are delighted to have supported Carol Pearson and Professor Andrew Horne to produce Endometriosis: The Expert's Guide to Treat, Manager and Live Well with Your Symptoms. Further details including how to purchase can be found on the Penguin Books website.